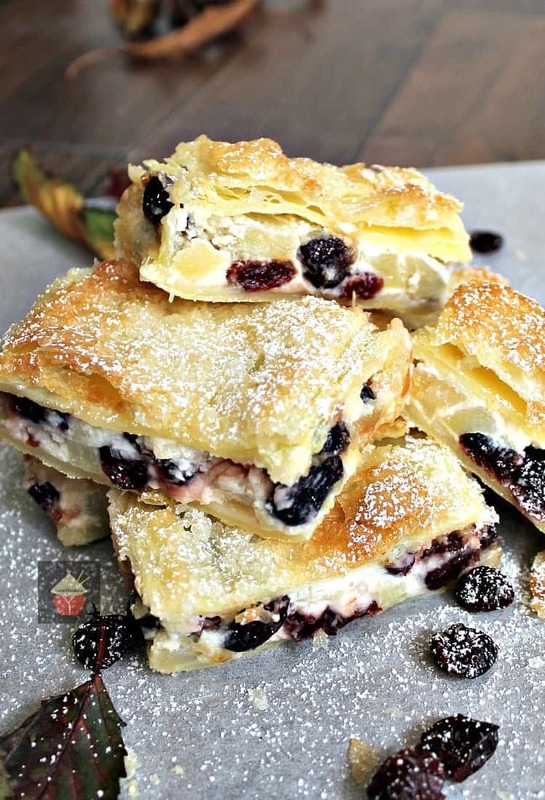 Apple and Cranberry Crescent Roll Cream Cheese Bars. 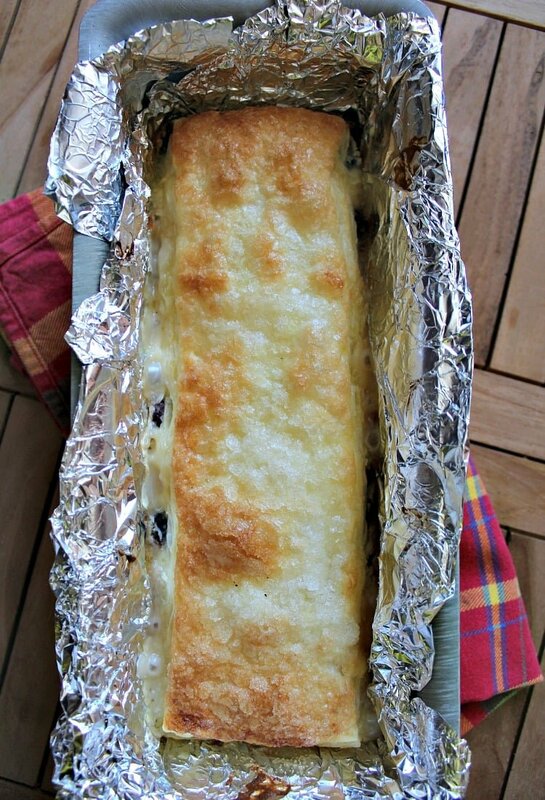 An incredibly easy recipe with fantastic flavors! 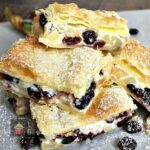 Apple and Cranberry Crescent Roll Cream Cheese Bars. All I can say is WOW! When you bite in to these bars you just want to close your eyes and enjoy all the delicious flavors and textures. 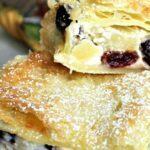 The combination of the chunky apple and the slightly chewy cranberries is a wonderful contrast together with the creaminess of the sweetened cream cheese. Added to that, you get a little after taste of pumpkin spice, just to bring you in to the feeling of Fall and all things comforting and cosy. As for the pastry. 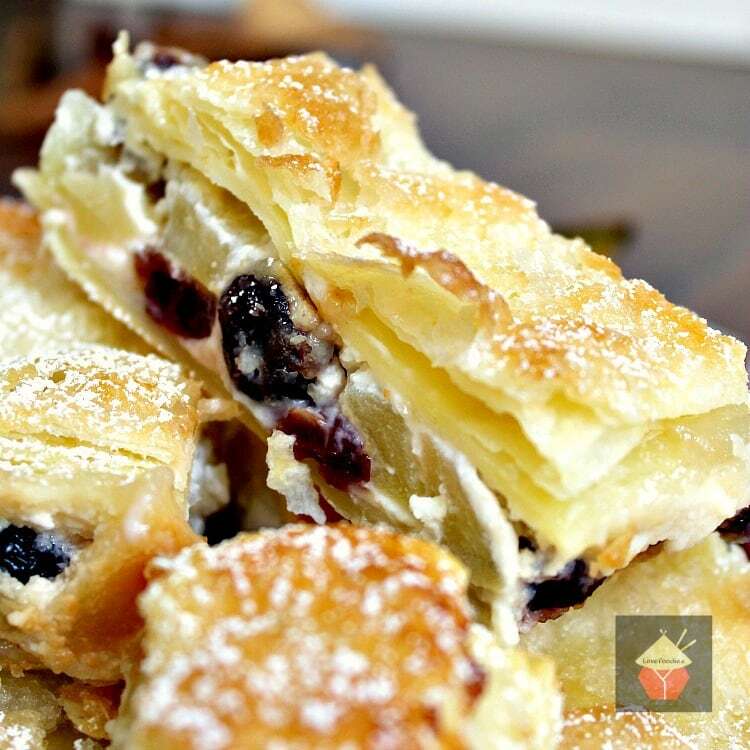 Well, what can I say other than crisp, flaky, light, DELICIOUS! The recipe itself is very straightforward, the ingredients are readily available and inexpensive. You can also be as flexible as you like, so try swapping the apple for pears, or perhaps peaches. Add some cinnamon or a mix of cinnamon and nutmeg instead of pumpkin spice….. add raisins or craisins.. have a play around with the ingredients, stick to the same amounts as the recipe states and just enjoy your creation! The beauty of this recipe is that you can also prepare ahead if you wish, and freeze or refrigerate before you bake. Although the preparation really doesn’t take much time at all, but if you wanted to make ahead, then you could! So without further ado, let’s head right on to how we make these little treats and please do enjoy! 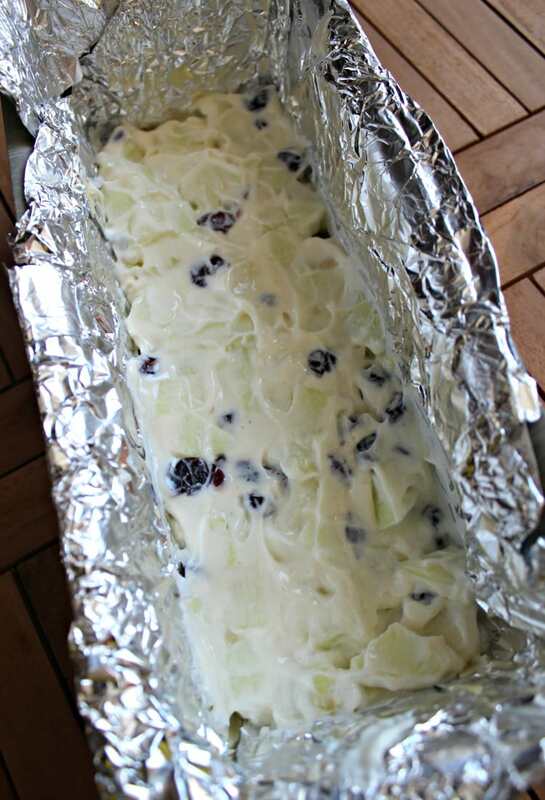 **NOTE: As you can see from the photos below, I used a loaf pan. Feel free to use whatever oven proof pan you like. You just need to make sure you cut the pastry to the size of your pan. The bake times will all be roughly the same. 2. Peel, core and cut the apples in to small bite sized chunks. Add to a mixing bowl together with the dried cranberries and squeeze of lemon juice, pumpkin spice and 2 Tablespoons of regular sugar. 3. 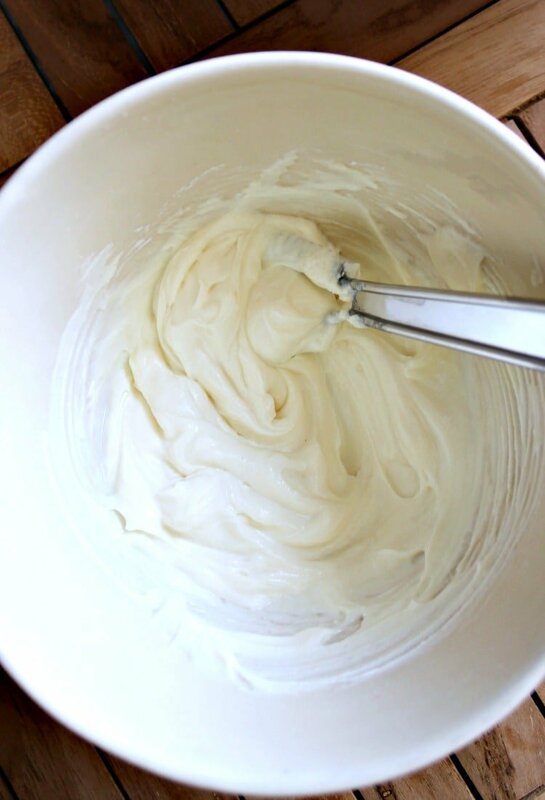 In a separate bowl, add the cream cheese and powdered sugar and mix so it is a thick paste. 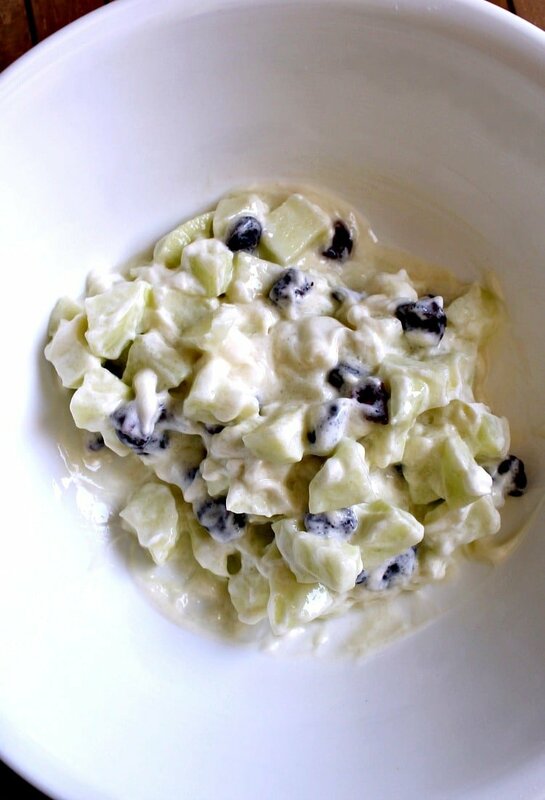 Then transfer to the apple mixture and combine well. 4. Spread the mixture evenly over the crescent roll / puff pastry layer, make sure you reach the corners too. 5. 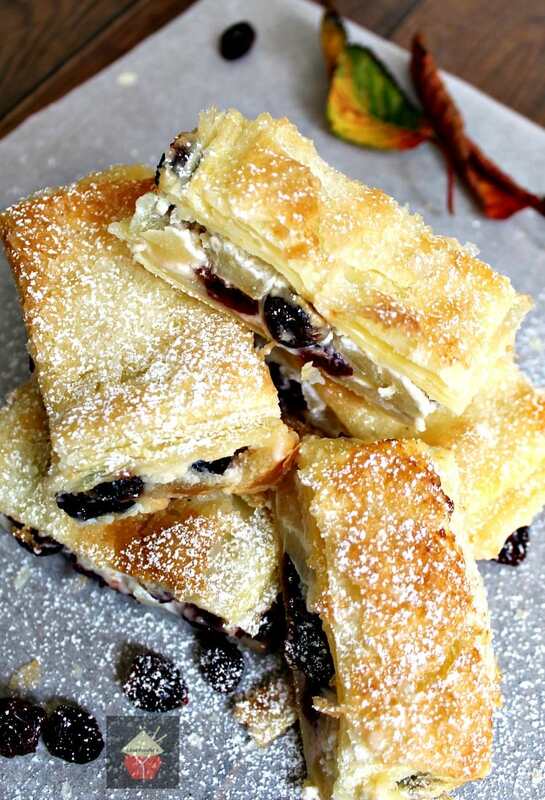 Carefully place the other layer of pastry on top of the cream cheese mixture, then using a brush, spread the melted butter on the pastry and then a sprinkling of sugar. 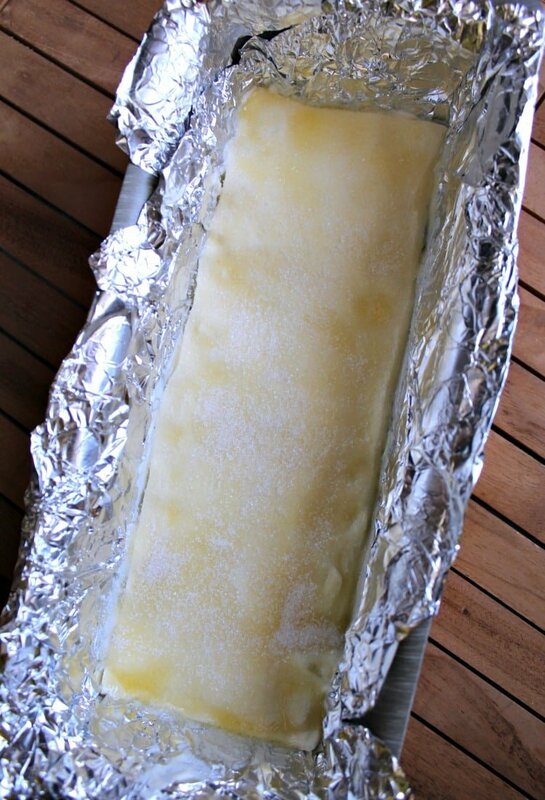 ****If you would like to freeze this, do so at this point, but BEFORE you add the melted butter and sugar. Then when you’re ready to bake, bring to room temperature, spread the melted butter and sugar and simply bake as the instructions below. 6. 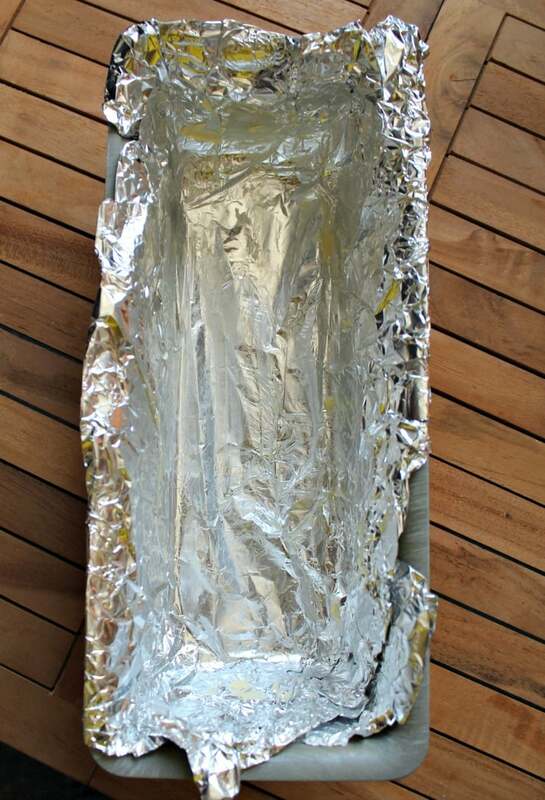 Bake for 40 minutes until golden brown. Allow to cool for at least 1 hour before trying to slice, so it can firm up a little. Serve as it is or with a nice blob of whipped cream! 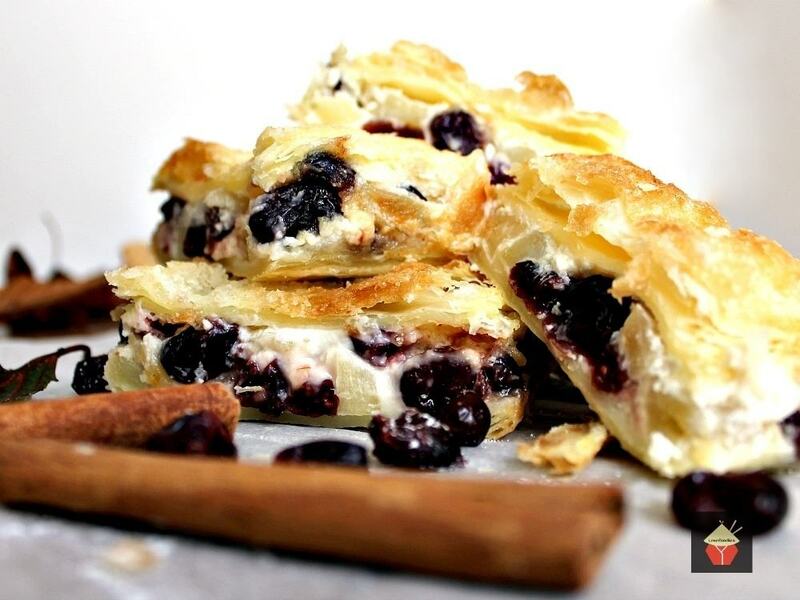 TOP TIP: If you’re making these ahead and want them to crisp up again the next day, simply pop them in the oven on a high temperature for 5 minutes maximum. Often with pastries, when you store them in an air tight container, they tend to go soft, which is fine, but for those who like crispy, just reheat! 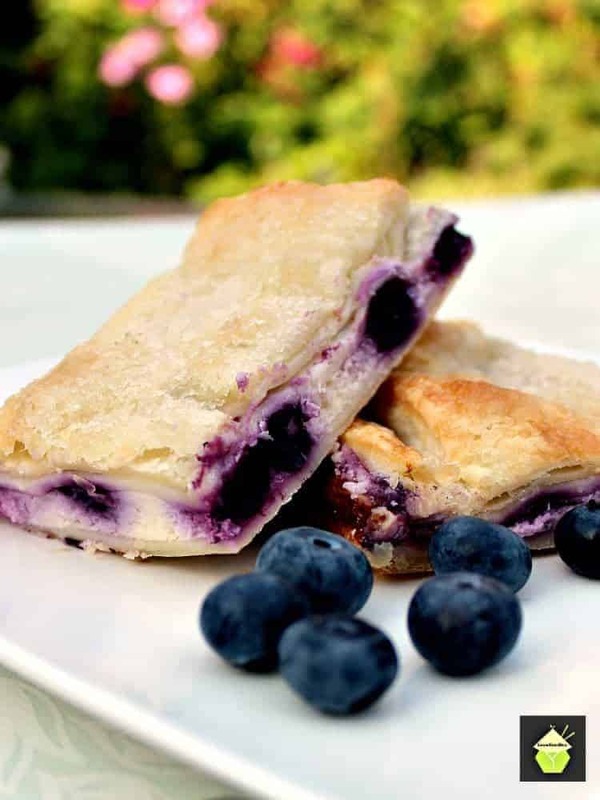 Come and check out our delicious Blueberry Crescent Roll Cream Cheese Bars. They’re really popular! Peel, core and cut the apples in to small bite sized chunks. Add to a mixing bowl together with the dried cranberries and squeeze of lemon juice, pumpkin spice and 2 Tablespoons of regular sugar. In a separate bowl, add the cream cheese and powdered sugar and mix so it is a thick paste. 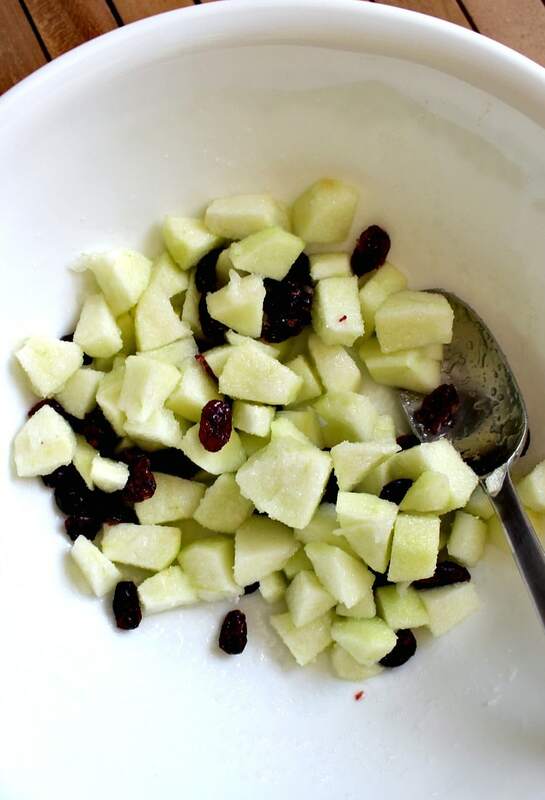 Then transfer to the apple mixture and combine well. Spread the mixture evenly over the crescent roll / puff pastry layer, make sure you reach the corners too. 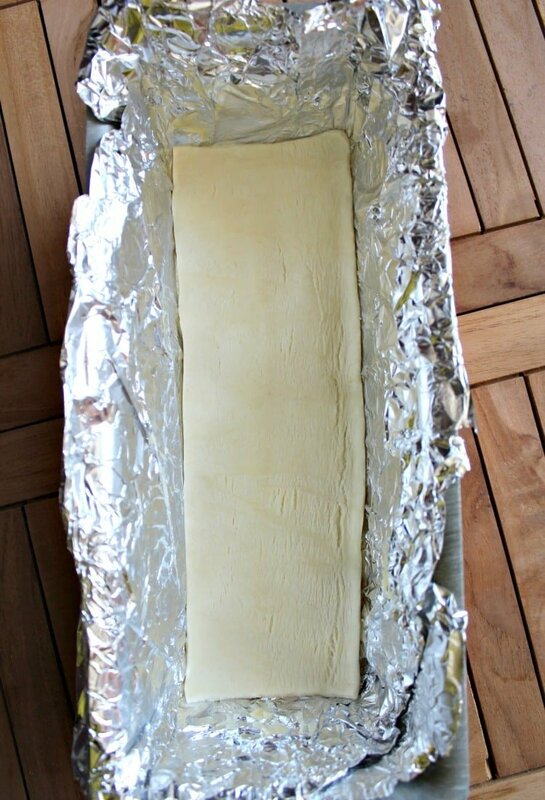 Bake for 40 minutes until golden brown.Allow to cool for at least 1 hour before trying to slice, so it can firm up a little. Serve as it is or with a nice blob of whipped cream!